One of Americas oldest music festivals marked its 40th anniversary, in the quiet polite mannerisms associated with the regions southern charm and gracious manners, during the first weekend in May. The Beale Street music festival is perfectly situated on the banks of the historic Mississippi River, in downtown Memphis. The event has to be one of the most affordable and eclectic music festivals in the country, as well as the oldest. With single day tickets going for $45.00 and three day passes offering a bigger daily discount, the five stage festival offers up music from nearly every pop music genre. Perhaps the most genuine and historic sounds come from legendary Blues icons, many of whom call Memphis home. The historic city is the birthplace of Blues music in America, with it’s infectious roots music sounds spreading up and down one of the countries first “highways,” the Mississippi River. But the amazingly diverse festival crowd, in all demographic categories, was also treated to big name entertainment from genres like classic rock, hip hop, EDM, Indie Jam bands, country, bluegrass and more. The first day of the festival looked like it might be in jeopardy, with fierce thunderstorms flooding streets from the break of dawn and continuing into the early afternoon. But luckily the festival, which began on Friday, April 29, was not scheduled to start until 6pm. Miraculously the inclement weather let up just a few hours before the first sets began and the skies stayed dry into the early morning hours when a light drizzle fell on the last sets of the long night of music. Anxious music fans lined up early, and dashed into the festival as the gates opened just before 5PM, to get the best front of the stage views. The festival boasts three massive main stages, spread across nearly a mile of riverfront. There is also a Blues tent, featuring regional, national, and international musicians prominent in the genre. Complete with seating, and its own affordable bar, the Blues tent is worth the price of admission itself, and indeed many Blues fans never leave the tent. There was one more hidden gem of a stage just off to the side of the largest of the three main stages. A tiny stage made into a Blues shack, offered up historic icons of Blues music from across the region. With never more than a few dozen fans watching, these musical marvels offered up some of the most authentic Blues music in existence. The Main Fedex stage music started right on schedule at 6PM. Unlike most of the big music festivals proliferating across the country, the Beale Street festival allows almost every performer time to perform a full set. There are none of the ADD 30 minute time slots that are so pervasive in many of the big festivals. All the stages began with impressive musical acts from different genres. These included local acts, the Ghost Town Blues Band and Julien Baker. Ghost Town wowed the audience in the blues tent with their own infectious jam band approach to blues and southern bluegrass music. Complete with a leader singer guitarist playing a cigar box guitar and a funky horn section this band rocks. Julien Baker, on the other hand, opened the Fedex stage with a much more subdued solo set. The young singer guitarist played haunting folksy melodies that may well propel her into national fame. Electronic music maven Coleman Hell opened the Bud Light stage and was the first of many Canadian acts to bring their infectious grooves across the border. 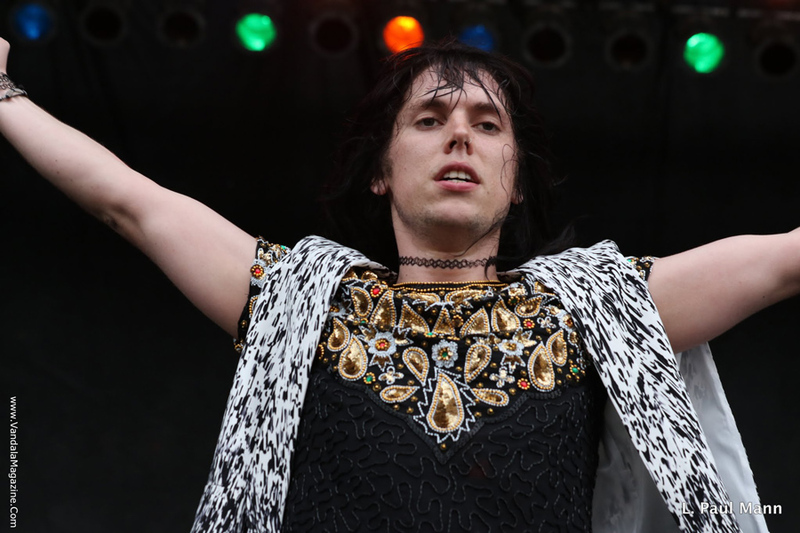 The opening set on the Rockstar stage by the English rockers The Struts, rounded out the first sets of the day. This band was a particular favorite with some of the youngest of the early festival goers. The group, fronted by animated lead vocalist Luke Spiller, wowed the crowd in the classic style of an English glam rock band. As darkness fell, more than twenty acts from across the pop music spectrum played into the night. Dozens of gourmet food stands sent savory scents into the moist evening air and copious amounts of alcohol were available across the festival grounds. By the time that the closing headliners were preparing to take their respective stages around 11PM, the festival crowds swelled into the tens of thousands. 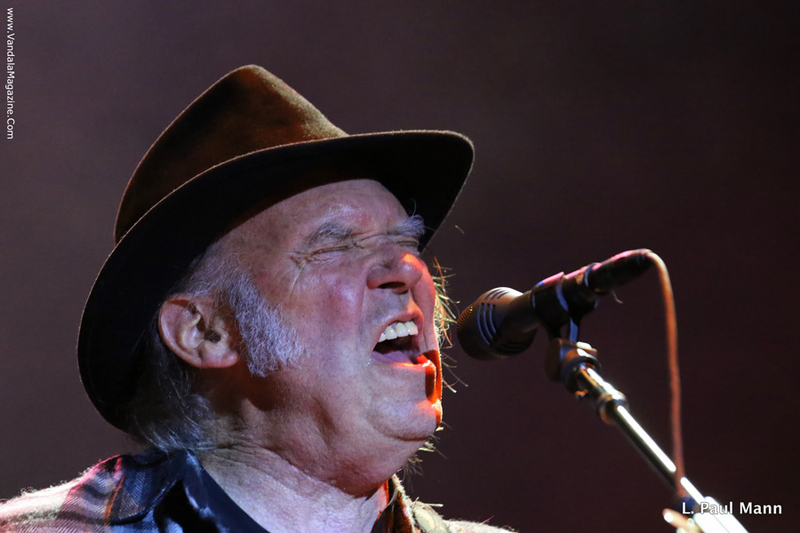 Surely, the most anticipated set of the day came on the Fedex stage, when Neil Young and The Promise of The Real played a headline set drenched in classic rock jam guitar riffs. Young led his invigorating youthful band straight into a 34 minute opening jam of his classic song “Down By The River”. The monumental guitar jam paid tribute to the mighty Mississippi. 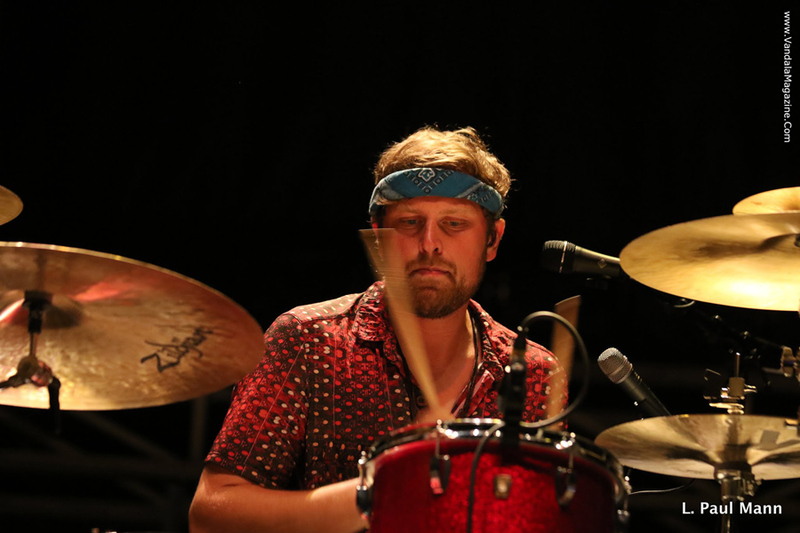 POTR, an American rock group based in California is the perfect engine to propel Young in his ultimate jam band mode. The band consists of Lukas Nelson (vocals/guitar), Anthony Logerfo (drums), Corey McCormick (bass), and Tato Melgar (percussion). Lukas is the son of the legendary Willie Nelson. As the group tore through the opening jam, a tourist riverboat cruised by lighting up the Mississippi. One could imagine a similar sight a hundred years ago, possibly with classic Memphis blues music pouring from its glamorous ballroom. Other top musical acts like, Weezer, Train, and the guitar veteran Walter Trout played out they’re closing sets at the same time. But by the time a light drizzle began to fall, and Young and his band had played into the early hours of next morning, all the other stages had fell silent. Young continued to play until he was literally booted from the stage by festival officials. It was a fine start to three days of amazing music.